The University of Aberdeen will celebrate the pioneering spirit of Scots in the first wave of emigration to Canada with a day of family fun and a talk by a leading arctic explorer. A University of Aberdeen researcher has received funding to study the ways that trust is formed and lost in minority communities impacted by high levels of digital and social exclusion. A University of Aberdeen student will travel to the Japanese city of Nagasaki after winning a prestigious scholarship to undertake a research trip. Could adding vegetables make a healthier mayonnaise? Scientists are investigating if eating mayonnaise with added vegetables, in the form of powders, could unlock health benefits. University of Aberdeen rowing sports bursars Jamie Steel and Ian Walker will represent Scotland in this weekend's 2014 Home International Regatta. Social media's role in managing transport and congestion during the Commonwealth Games will be monitored and examined by experts from the University of Aberdeen. Scottish people are miserly, scientists are geeky and men like the colour blue - or so cultural stereotypes would have us believe. A 500-year-old oak chest has been identified as a wedding gift commissioned for one of the most pivotal moments in Scottish/English history. An Aberdeen scientist has secured a scholarship which will take her to the US to further her investigations into colorectal cancer. A popular festival to celebrate the singing traditions of Scotland, England, and Ireland will be held at an Aberdeenshire steading from July 25 to 27. Government officials from African Commonwealth nations and Scotland, senior representatives of international energy companies active in sub-Saharan Africa, academic experts, and development partners will meet tomorrow in Glasgow to exchange ideas on achieving equal access to energy for all communities. Men and women aged 44 or younger are more likely to agree with financial incentives to encourage breastfeeding and smoking cessation during pregnancy compared to those aged 65 and over. An international panel of historians will highlight Russia's crucial involvement in the First World War at a free public event at the Gordon Highlanders Museum on Monday (July 21). An Aberdeen academic has been presented with an honorary degree from the University of Hull. Are Personality Traits Indicators of Success? The importance of character strengths for learning and success will be explored at a free talk in Aberdeen tomorrow evening (Wednesday July 16). A popular exhibition exploring the links between art and science is set to debut in Aberdeen city centre following a number of successful years at the University of Aberdeen. Is the hunt for Nessie futile or a project that should be embraced by science? A new portrait of Lord Wilson of Tillyorn, commissioned by the University of Aberdeen to honour his long-standing service as Chancellor, has now been unveiled. A renowned Scottish ecologist, mountaineer and authority on the Cairngorms; two acclaimed authors; and a leading north-east entrepreneur are among those being honoured at the University of Aberdeen's summer graduations. The question of Scotland's constitutional status will be decided in September's referendum. But, argue two Aberdeen academics, this is but the first of many political and economic decisions facing policy-makers in Scotland, irrespective of the referendum outcome. The first cohort of interns taking part in a collaborative project which aims to increase the number of people with learning disabilities in employment graduated from the programme at the University of Aberdeen today (Thursday). 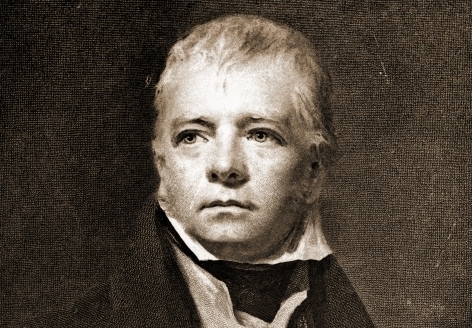 As Scotland considers its future it is time to reassess the importance of Walter Scott and return him to his rightful place as 'Scotland's greatest writer', argues an Aberdeen academic on the 200th anniversary (July 7) of the publication of his seminal novel Waverley. A group of University of Aberdeen students are gearing up to carry out research that could potentially save critically endangered species in the Turks and Caicos Islands. Bumblebee enthusiasts are swarming to take part in the most high-tech survey of the species ever carried out in the UK. The Royal Society of Edinburgh presented the Sir Walter Scott Medal to David Hewitt, Regius Chalmers Professor of English Literature at the University of Aberdeen, at a special event last month. The University of Aberdeen's department of Divinity and Religious Studies has appointed a leading professor to strengthen its position as a premier centre for world class research in Theological Ethics. A law essay writing prize for students and alumni of the University of Aberdeen's Law School is set to return after an absence of almost two decades.